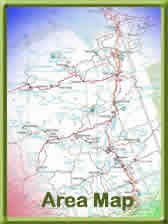 The Almaguin Highlands and the District of Muskoka are two large Ontario Regions that straddle the line that separates the Southern part of Ontario from the Near North. The District of Muskoka, has for a long time, been considered the recreation and cottage capital of Ontario and has developed into a tourist attraction, that is known the world over! Muskoka, annually attracts many vistors and every year pumps a great deal of tourism money into Ontario’s economy. best in services and convenience, that can be found in the South. within easy reach of the ‘Golden Horseshoe’, new and exiting opportunities are opening up, for everyone in the area. This website is dedicated to serve all businesses, associations, and organizations that are located in and or ‘do business’ in Muskoka, the Almaguin Highlands or the Parry Sound District.